Companies such as Designs by Skill and RJK Construction in Arlington, Va., are using Instagram to promote themselves, the projects they are working on and to periodically show followers a behind-the-scenes look at a life in remodeling world. 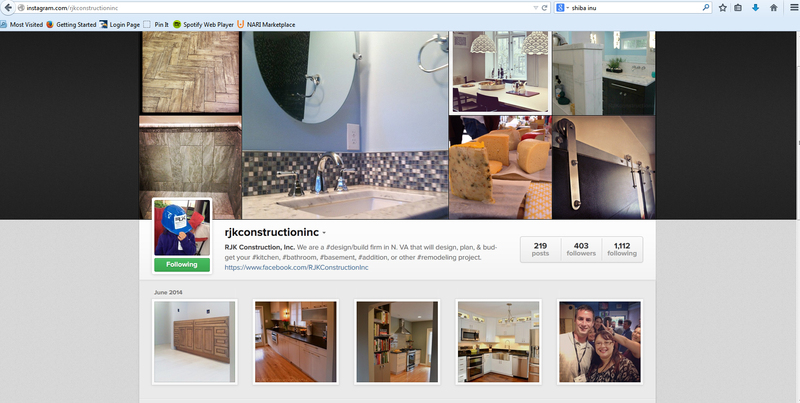 RJK Construction created an Instagram account as a way to drive attention to its work. 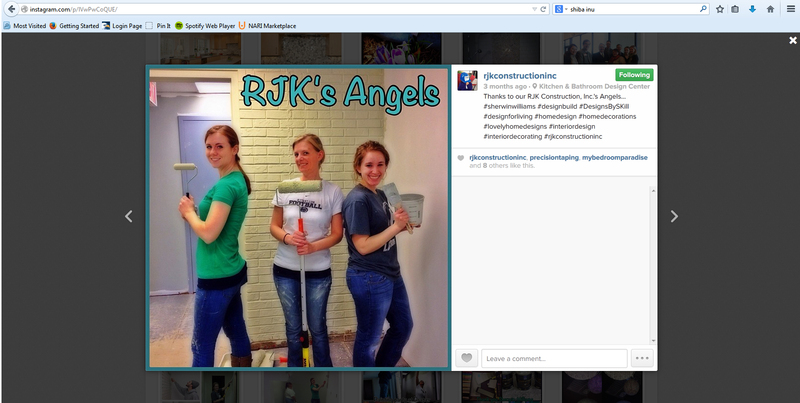 RJK Construction highlighted their office remodel via Instagram. “Instagram shows more of the company than just, ‘Here’s what we do’—it shows who we are,” says Michelle Nguyen, marketing and event coordinator for the two companies. “It’s a good way to engage with the community, other designers and other industry professional and people who are just interested in looking at remodeling and getting their own projects together. The company even uses hashtags to draw people to their Instagram images. They create hashtags by selecting keywords people would search for and using hashtags that have worked for the company in the past. Some examples include #homedécor, #designbuild, #RJKConstructionInc. The companies started using Instagram about 10 months ago and currently have 367 followers, comprised of industry professionals, including fellow contractors and designers, editors and people who simply enjoy design. Nguyen spends about an hour every day on Instagram to post photos, following people in similar industries and monitoring the likes, comments and hashtags to see what photos get the most attention. She explained that she hasn’t done too much with the metrics yet, but hopes to ultimately get some business leads through the site. “We don’t spend too much time on it per day, but it’s good to see how people are engaging with it,” she said. The companies also link their Instagram images to the other social media sites they use, including Facebook, Houzz, Pinterest, google+, google local and Yelp. This is done through Instagram, which lets you publish to other social media sites by tapping “share settings,” selecting the social network to log into and then linking the accounts. “We’ve gotten fans and followers on other sites because of Instagram,” Nguyen says. Because they link the Instagram images to their other social networking sites, their customer base can ask questions or comment on current projects on multiple networking platforms, Kalmin says. She also believes it’s a good networking tool with other contractors to obtain job leads. She explained that if their team asks a question of a contractor in New Jersey, anyone following that contractor can then link up to Design by Skill’s or RJK Construction’s sites as a result. Kalmin recommends that if a company is interested in creating an Instagram account, they must make sure to set strict guidelines on what can be posted. She does not recommend posting personal images that don’t reflect what the company provides.